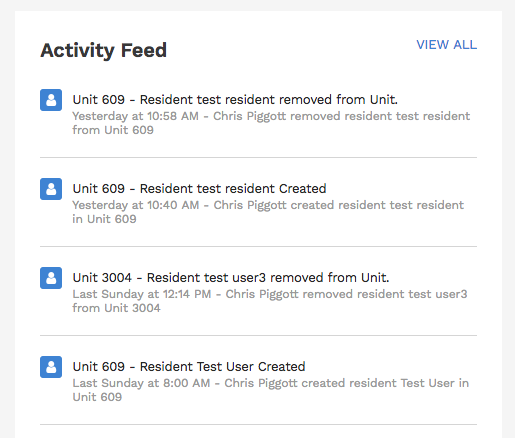 What is the Activity Feed for my building used for? The Activity Feed is located under the Dashboard heading of the Homebase Community Manager. This is the first screen you see after logging into Community Manager. This feed is meant to give you a snapshot of everything that has happened in the building recently, pertaining to building, staff and community.